Since the end of Initial D in July 2013, author しげの 秀一 (Shuichi Shigeno) has taken a well-deserved break. In 2014 he started a short series called 高嶺の花 (Amazing Hana) that only contained two volumes. It was a love story between a middle-aged divorced manga creator and a young girl. In terms of popularity, it didn't do so well. From 2015 to 2017, Shigeno-sensei started another series セーラーエース (Sailor Ace), which is a series about baseball. It contains six volumes. This work has done alright, but still nowhere near the popularity its ancestor Initial D has acheived. 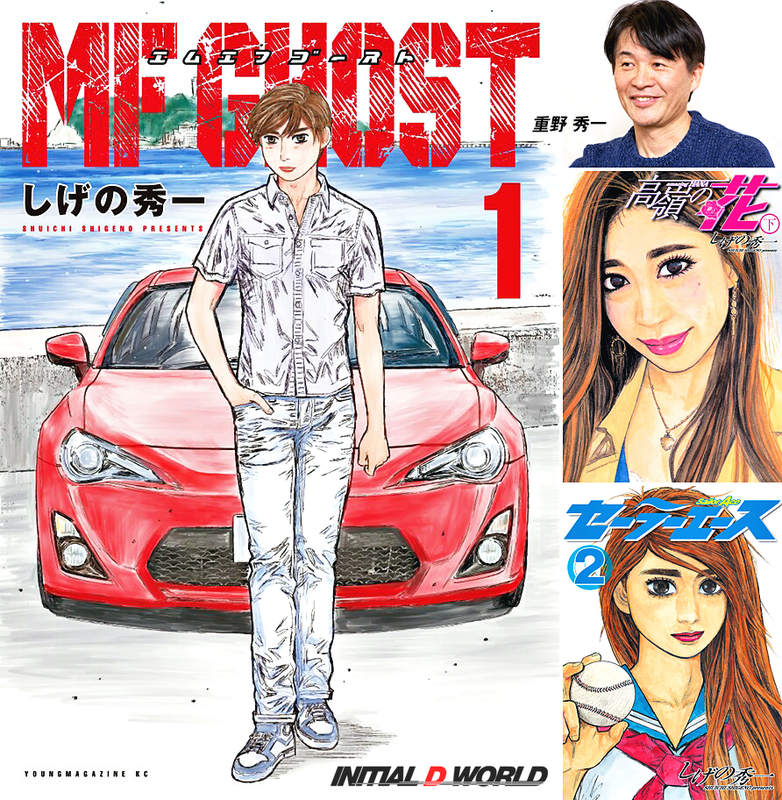 In September 2017, just four months ago, Shigeno started a new series called MFゴースト (MF Ghost) Chapters are being serialized in Young Magazine just like Initial D was. And volume 1 containing 13 chapters, just got released few days ago. Shigeno-sensei has decided to return to his root, street racing. Yes, MF Ghost is about street racing. The story takes place in the near future 2020's when autonomous self-drivng cars are common sight. The storyline focus on a young genius driver Kanata who has just graduated from racing school in England, returns to Japan. His goal? To take the title of fastest street racer. There have been already numerous references to Initial D in the first few chapters in MF Ghost (Mostly characters referring to things in Initial D). People are already calling this the Initial D sequel. However, I believe the author is trying to pay homage to his previous work. Whether MF Ghost has direct relationship with Initial D is yet to be determined. One thing worth pointing out is, if MF Ghost gets animated, there is a good chance the Drift King 土屋圭市 Keiichi Tsuchiya will be back as the Technical Consultant for the series. Check out the Drift King taking one of the main character's GT-R for a spin on the touge in the link below. Image size reduced, original size: 892 x 912. Click here to view the image in its original dimension.